I asked my oldest daughter last night on our way to her softball game if she knew what 9/11 was. She was not even 1-years-old at the time, so I knew she wouldn’t remember the actual happening. She said she did, it was when the twin towers fell. As Alan Jackson’s song “Where Were You” played in the background, I proceeded to tell her the specifics, about how wicked, deceived men hijacked planes and flew them into big buildings with the express purpose of killing as many Americans as they could. How brave firefighters, knowing that death was likely, charged up those steps of the World Trade Center, trying to save as many people as they could, while the occupants of the buildings fled for their lives. How some amazing citizens took death in their own hands and fought the hijackers and flew the plane into the ground in Pennsylvania and sacraficed their lives so that many other lives could be saved. And about how, as great as that love is, even greater was the love of a man 2000 years ago, who came to this earth on purpose, knowing he would be humiliated and beaten and stripped naked and murdered, even though he was perfect… even though this was happening at the hands of the men he created… even though but a word would have saved Him… just because He loved us and wanted to provide us a way to life. isn’t all about ME, or YOU. It’s not even about “rich people” vs “poor people”. It’s about a country that was founded on the principles of freedom for all, and opportunity to pursue ones dreams if one so chooses and wants to do the hard work to achieve it. eternal life we have… and the cost those things came at. Today, I vow to look outside of the little box that is me and my family and see what I can do for others. And I renew my vow NOT to forget the lives that have been lost, the sacrifices made. Discussion: Where were YOU that September Day? Me? I was at work. One of the girls ran in from her car and flipped on her radio and said, “Listen to this.” We all stood in shock. I ran home minutes later and brought back a small 19 inch TV for us to watch it on. We sat in horror as we watched the towers fall. One of our sales guys walked by, tears held back in his eyes, saying that he and his wife and kids and just visited New York the week before, and had been on that Observation deck on top of that building. After the sadness of came, it was quickly replace by anger. A feeling that our country had be violated in the most horrible of ways. I’m not a fightin’ girl, never really have been, but on that day, I would have gladly taken up a gun against our enemy. I was third grade and completely oblivious to everything that was happening. The principal came over the loud speaker announcing that we were being dismissed early due to a terrorist attack. All I knew, in my mind, was that girl scouts was cancelled and I was ticked. I don't think I really knew until the next year when we had to have a moment of silence and then the principal read what exactly happened one year before. I had just dropped of my kindergartener and was getting breakfast for my baby girl. I couldn't wrap my head around it. I wanted my kindergartener and my husband home. I remember feeling afraid because my husband works in a large medical center…Houston. It brings tears to my eyes to think of all that happened that day and beyond. 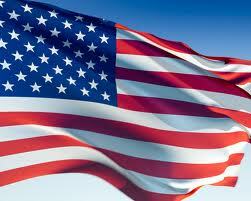 May we all remember how we came together that day, as a country and as people. I started my shift at the Petsmart at 7 and we didn't have any radio's or Tv's available so no one knew what was going on until someone came in for the 9am shift and told us what was going on. I was in shock! My brother was working on the computer for a feed mill out there. He said he climbed to the top of the feed mills tower and watched as part of the Pentagon burned! He said you could see the smoke for miles around. I was so worried about him but he said he was fine. I was pregnant and on bed rest with my 2nd daughter (my first had just turned 1 a few days earlier). I was still in bed, sort of awake, when the phone rang and it was my mom. I could tell something was wrong because she sounded like she was holding back crying and she told me to turn the tv on. We sat on the phone together and watched as the second plane hit live on tv. I remember being thankful that my toddler had amazingly slept in that morning and wanting my husband to be home. He worked a job that had him traveling to Chicago for the day and at that point, we weren't sure what was going on yet and major cities were being shut down for protection. He didn't make it home until late that night and we just held each other outside our apartment and watched the sky..it felt like the end of the world. I remember being amazed at the people of our country coming together the way they did. I even saw perfect strangers hugging and wiping tears away when I went to get a paper the next morning. I was a sophomore in high school, and in first period world history class when it happened (kind of ironic, being in that class at the time of the attacks). My second period spanish teacher went online to see if it was true, which of course it was. My 4/5 period math teacher let us watch the news the whole class period. It was scary to watch it all unfold, even from halfway across the country. I was a Freshman in high school getting ready to walk into my math class; when a fellow study ran in the room and turned on the TV. Just in time for us to see the second plane hit the second tower. I had just began my senior year of Bible college. Sitting in 2nd hr history class, I received 3 calls in a row on my cell…from home. As irritated as I was at my mom who knew I was in class, I called as soon as class released. This would have been around 8:10 where I was and 9:10 EST. She's going on about some plane flying into a building in NYC. 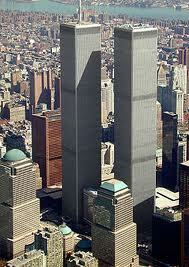 How at first she thought it was an accident…"But Dear God, another just flew into the second tower. Julie, we're being attacked!" AS I hung up, I proceeded to tell my prof who thought I was joking. We both walked to the Commons where a tv was…a room that was normally empty at this time of day had no standing room with a tv blaring the news: and smoke billowing from the side of a building. This was my first day of teaching observation hours so I had to leave right away. I was picking up a friend who was riding with me. She was from NY and hadn't heard yet. She calls her parents and can't reach them. What do I remember clearly about that day? A crystal clear blue sky: and not one plane in it. The days following: flag after flag being flown in cars, from doorways, at half mast in restaurants and schools…a flag ceremony in a nearby town that blocked me from getting back to school after work. Going shopping for essentials…when a voice narrative comes on the radio depicting different people in the towers, the planes, the Pentagon…and how God was with them even in the midst of the storm. My tears flowed freely that day, in the parking lot. How I ached for those families…and still do. Beautiful, Krista. I'll never forget that day, either – and you're right, it brought about a fierce patriotism in me and I would have fought, as well. That gives me hope for America – we still have gumption to fight evil people. I remember it like it was yesterday. I had just woken up and heard about the first plane on the radio and watched the second plane on the tv. We watched all day long at work. It was heart breaking. Still is. I was pregnant with my first child. I had just finished reading a chapter in Stormie O'Martian's book, "The Power of a Praying Wife". The phone rang – it was my husband calling from work. He asked me if I had the tv on. I didn't and he told me to turn it on. Once I saw what was happening, I became fearful. President Bush was visiting our city that day and was at an elementary school not too far from my husband's job. I was anxious that thete might be terrorists planning to attack the president. Then God reminded me about what I had just read – the chapter had dealt with fear. How amazing God is to prepare me before hand with HIS Word that I would need, whenever I became anxious. Once my husband came home, we basically watched tv for the rest of the day and took time to pray.